Launched in 1964, Jackie magazine was the bible for savvy teenage girls of the 70s keen to glean the latest pop gossip, makeup tips and, of course, that all important advice of how to catch a boyfriend! Fast forward to 2016 and, although the magazine has been out of print for 23 years, the musical bearing its name is keeping its legacy alive. 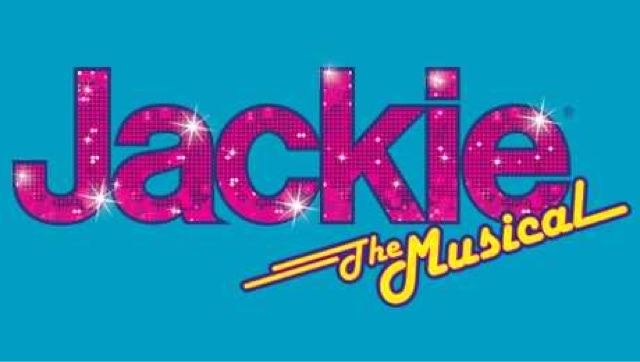 The heroine of the piece is Jackie. In her early 50s and facing divorce with a grown up son, Jackie's life hasn't quite turned out how she had hoped and when she discovers a box of old Jackie magazines in the attic her teenage self shows up to provide a trip down memory lane filled with classic Jackie magazine advice as she begins a search for a new man. An equally nostalgic female audience filled the King's keen to relive the 70s and the gigantic mirror ball hanging above the stage in the preset, set the tone for a night in the disco era. By the time the overture began the audience was already singing along with gusto ready to party and enjoy their own trip down memory lane. The plot, while engaging, can't help but play second fiddle as Jackie's midlife crisis is sidelined by an unmistakable and unforgettable selection of songs. Janet Dibley's Jackie is fun and credible while Lori Haley Fox provides light relief as best friend, partner and crime and wine buddy Jill. The pair create a wonderful portrayal of female friendship sustained through the years through it all, aided by sticky toffee pudding and wine. Dibley's showstopping performance of Enough is Enough with Young Jackie and the ensemble is a true highlight. As Jackie's estranged husband John, Graham Bickley gets plenty of opportunities to showcase his vocals, most memorably in an astonishing turquoise 70s style suit. His efforts to keep up with his 39 year old girlfriend provoke amusement and sympathy from the audience. Young Jackie, Daisy Steele perfectly captures the innocence of teenage life and her quotable advice from the magazine reminds every woman in the audience of the hours spent poring over teen magazines desperate for advice on how to find "the one". Bar owner Frankie, played by Bob Harms, is positively scene stealing with his unique rendition of Donny Osmond's classic Puppy Love leaving the audience howling for more. Michael Hamway's energetic performance of 20th Century Boy creates a scene reminiscent of Mamma Mia's Does Your Mother Know with equally hilarious results. 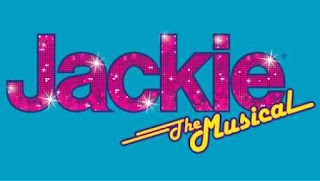 A true crowd pleaser, the 70s floor fillers played by a superb live band, supported by brilliant choreography by Arlene Phillips and classic fashion from the era, Jackie the Musical leaves much of the audience barely to keep their seats as they try to resist the urge to boogie. By the time the show reached its climax with a curtain call packed with hits, the circle of the King's could be felt flexing and bouncing as the audience found its tiger feet. An unmissable, fun night out. for anyone keen to relive their teenage years.